An air charter service, Caverton Helicopter, on Saturday blamed hazy weather conditions for the helicopter crash involving Vice-President Yemi Osinbajo. 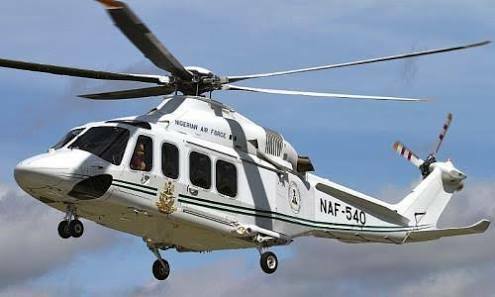 Josiah Choms, an executive at Caverton, said Mr Osinbajo was being conveyed in an Augusta AW139 chopper when it lost control as it was about to touch down. The Lagos-based firm said the incident occurred at about 3:00 p.m. in Kabba, Kogi State, confirming earlier account of Mr Osinbajo’s office. Mr Osinbajo was on a campaign mission ahead of the presidential elections. The accident was due to “unusual weather conditions,” Mr Choms said, adding that there were no injuries to the passengers or crew members as they were all quickly and safely evacuated. Meanwhile, the vice-president’s office has released additional details about the incident. “We are grateful to God for His protection and safety, and we thank the crew and security personnel for their prompt response and service. We are also grateful for the tremendous expressions of concern and affection, as well as prayers from all."